Dr. Modestus Fosu, the Acting Rector of the Ghana Institute of Journalism, has called for financial and logistical support from the Government and other stakeholders to progress the Institute, saying it cannot survive now without aid. He said while Ghana, and indeed, Africa's quest to be independent of aid was laudable, the same could not be said of the GIJ, which was facing acute lack of funds. Speaking at the Third Congregation of the School of Graduate Studies and Research of the Institute, Dr Fosu said the constraints had left GIJ 'hemmed in' at its present campus with students, lecturers, administrative staff competing for the limited space. GIJ, he said, had been beset with serious challenges over the years especially, with infrastructure and personnel. The Institute which, is now fully-fledged tertiary institution offering undergraduate and postgraduate programmes, but has a staff strength of only 24, necessitating a dependence on part time lecturers, with its associated challenges. The Institute's efforts to develop its new site at Okponglo in Accra have also been thwarted over the years, as successive governments had failed to honour their promises to provide the requisite resources. He stated that except for a solitary block, without any fittings, there was currently nothing of importance on that land, as work had come to a standstill after the exhaustion of the GETFund's allocation for the completion of the project. 'President Nana Akufo-Addo sees Ghana beyond aid. Yes to the President! Yes, Ghana and Africa can exist without aid but this cannot be said of the GIJ, which needs support to expand,' he stated. 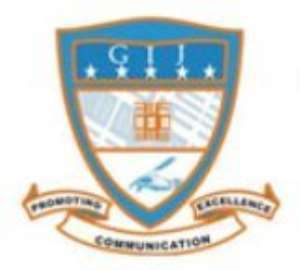 The Institute needs support to build more lecture halls to accommodate the expansion in its programmes and courses, to build and stock a library befitting the contemporary competitive university like the GIJ and to provide hostel facilities for students, he said. Master of Arts (MA) Degrees were conferred on a 178 graduating students who underwent a 15-month postgraduate education in four communication specialties. Sixteen students graduated in Journalism, 70 in Public Relations, 66 in Development Communication and 26 in Media Management. Dr Fosu expressed the hope that the Institute's efforts to promote postgraduate training would help fill a critical intellectual and professional gap in Ghana's educational and national development space towards expanding democratic governance and promoting development.